Engraved in American folklore this is a once in a lifetime opportunity to experience the famous history and amazing beauty of the Pony Express Trail. Imagine what the first settlers and Pony Express riders felt as they travelled thru the vast, empty expanses of the uninhabited American West. Visit ghost towns and the old mining towns of Nevada in addition to stunning Lake Tahoe. This is an intermediate level ride with 2 nights of camping (gear provided). We’ll drop the bikes off in Sacramento then take the train to San Francisco. Support vehicle included for this ride. 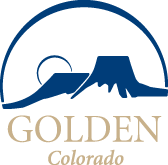 Day One – Spend the night at Table Mountain Inn in downtown Golden, Colorado. http://www.tablemountaininn.com/. Enjoy dinner in downtown Golden and meet the rest of your riding partners. Day Two/Three – Golden to Montrose and then Green River, Utah: Pick up our motorcycles and head over to Montrose on the Colorado western slope. We’ll dip our feet in some dirt as we ride over 12,000 ft. Marshall Pass. Day three takes us via scenic Hwy 141 and off-tarmac roads across the Lasalle into eastern Utah up to Green River on the Utah Backcountry Discovery Route. Day Four – Green River to Willow Springs, Utah. We’ll follow Hwy 6 over the Wasatch Range and into the crowded front range of Utah. Enjoy it though because this is the last crowds for 7 days. We will camp under the stars at Willow Springs campground, enjoying a scotch, beer or glass of wine. Day Five – Leave the wide gravel of the Utah Pony Express behind as the trail narrows and we visit Fish Lake NWR and the old abandoned ghost town of Gold Hill. Truly a memorable day. We finish out day in Ely, Nevada at the historic Ely Hotel, once the tallest building in Nevada. Day Six – Ely to Eureka: Heading north out of Ely we ride up Egan Canyon and visit the haunting 1862 graves of some Civil War soldiers and a Pony Express rider. Further on is an old mine site and a beautiful canyon ride. As you ride this on your motorcycle you will imagine what a Pony Express rider must have felt like. Day Seven: Eureka to Austin – fast lonely riding, abandoned ranches and petroglyphs before we arrive at the semi-abandoned mining town of Austin. Day 8/9: Austin to Lake Tahoe – A hard day of riding across salt flats and silt is luxuriously awarded with a night spent on beautiful Lake Tahoe. Lake Tahoe is the 2nd deepest lake in the United States and t he largest alpine lake in North America. Day 10/11 – Lake Tahoe to Sacramento and San Francisco: We’ll do the stunning 72 mile ride around Lake Tahoe before heading up Hwy 50 and over Tahoe Summit before dropping into Sacramento and the terminus of the Pony Express Trail and a visit to the Wells Fargo Museum. Riders can either fly out of Sacramento or take the train in to San Francisco and enjoy some time in this wonderful city.